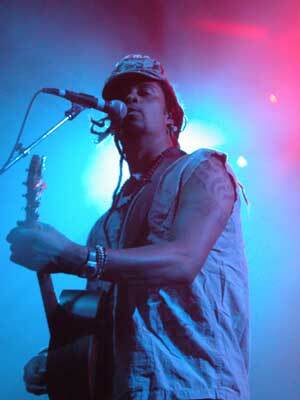 Following his recent travels throughout Iraq hip-hop singer/songwriter Michael Franti will be releasing a new book, documentary and album inspired by his experiences in the war-torn country. So here’s the low-down on all 3 Franti projects. The upcoming album will feature appearances by pop star Pink and Sly & Robbie and was produced by Franti himself alongside Mario Caldato Jr (Jack Johnson). The documentary, whilst previously aired at the 2005 Slamdance Film Festival, is now going to be released on DVD for time and sees Franti performing on the streets of Baghdad as well as lodging with the locals and visiting soldiers from the US. The book describes what Franti discovered on his adventures.